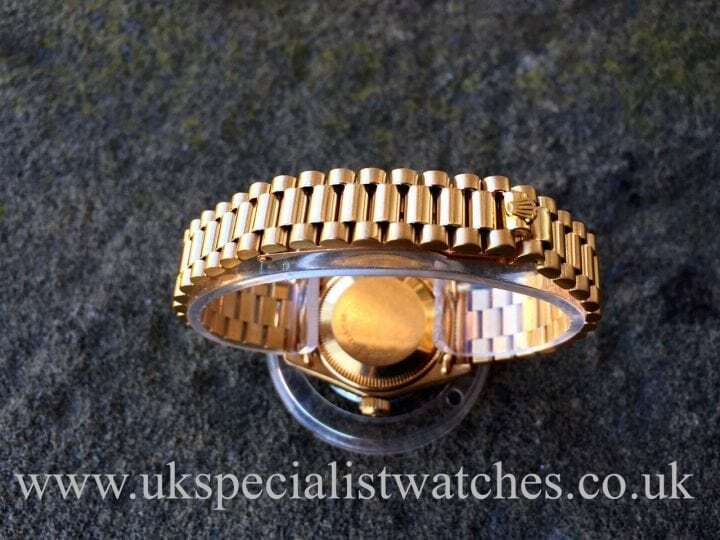 Rolex date just president 6917 in solid 18ct Gold. 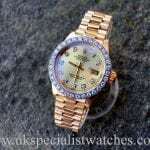 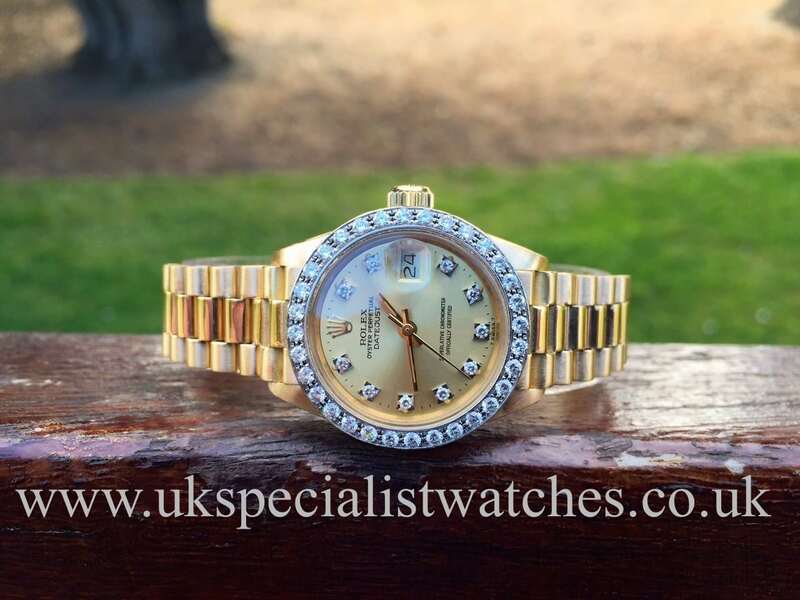 Rolex Champagne Diamond set dial with factory Rolex diamond bezel. 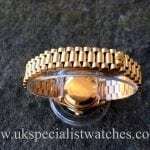 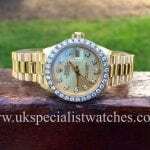 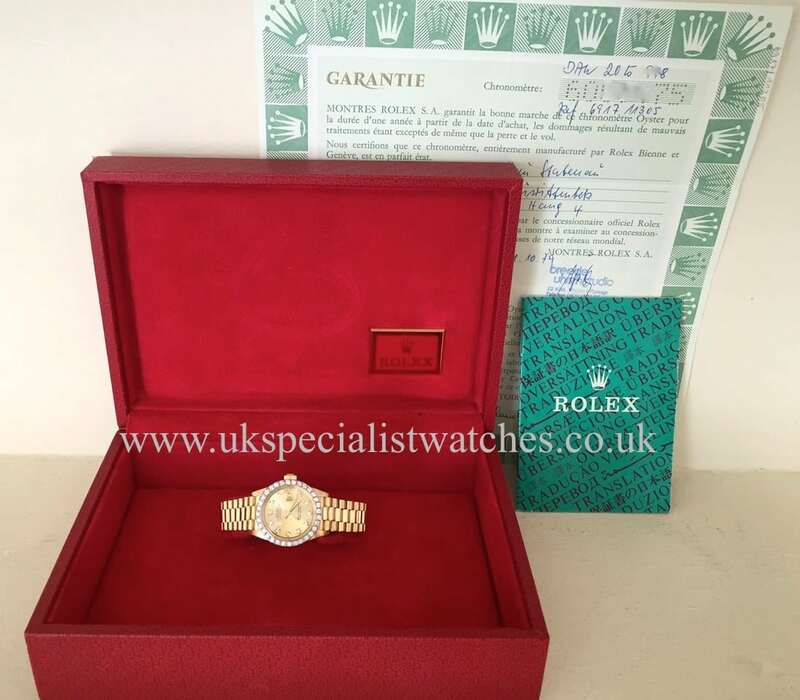 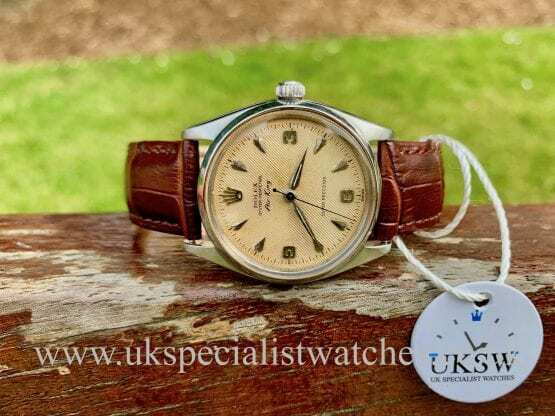 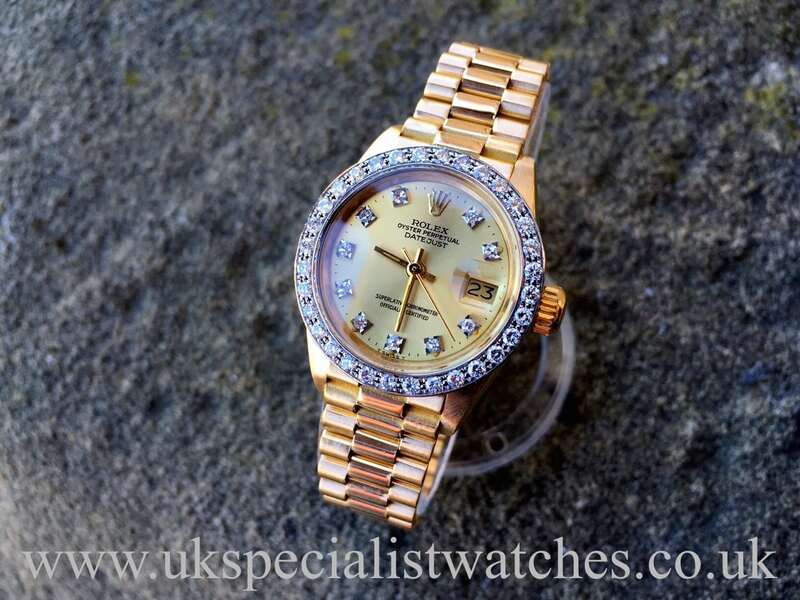 This all original beautiful ladies Rolex is fitted with the elegant 18t Gold president bracelet and concealed crown clasp. 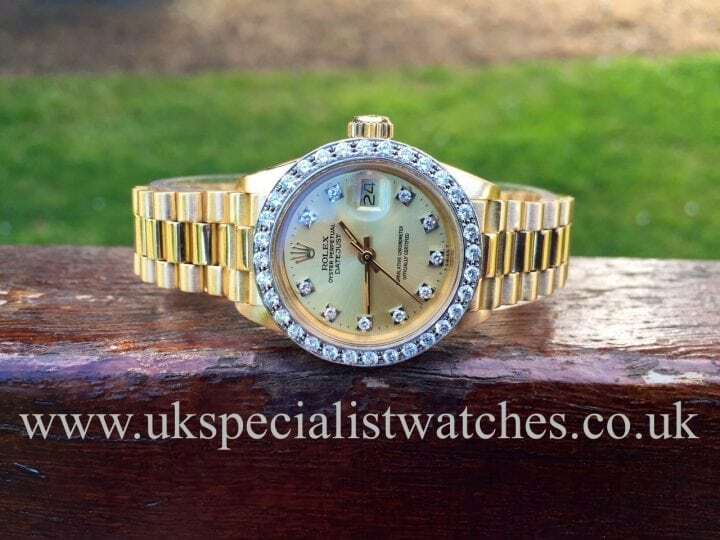 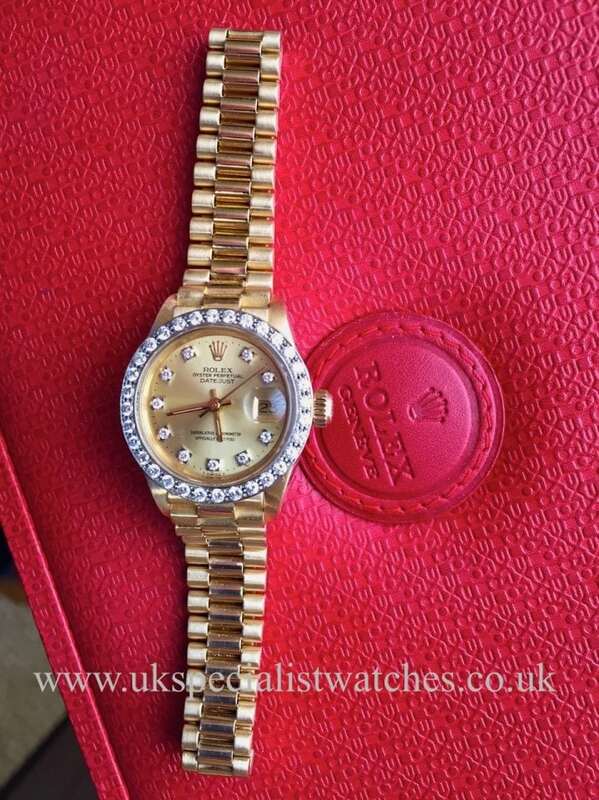 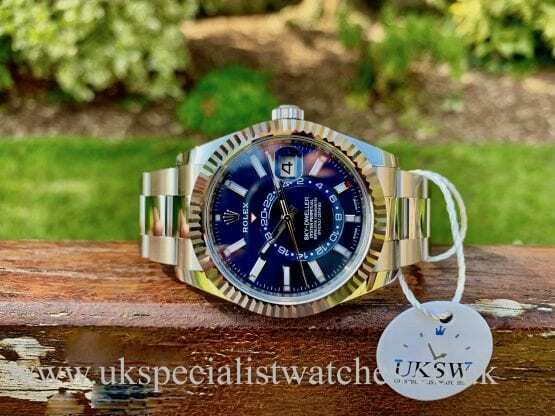 This one owner watch is in absolutely unbelievable condition with no signs of wear (stretch) to the bracelet whatsoever as this particular lady was lucky enough to have two other presidents only using her diamond set examples for very special occasions! 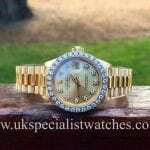 Just returned from our watch maker having had a full service. 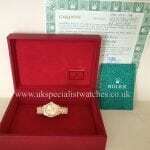 Comes complete with box and original punched papers.